I’m posting my new simpler way to make one of my favorite one pan meals. This no-fuss dinner cooks in one pan and it takes almost no work. Plus the whole house smells divine with all the spices as they cook. Both the chicken and the potatoes are coated with a mixture of aromatic spices & olive oil and as they’re cooking along in the oven, you have plenty of time to make a salad or cook a side vegetable. What I like most about this recipe is that the two foods can be separated at the end if either the chicken or potatoes need a few more minutes. Chicken thighs come in all sizes – sometimes I get four in a pack and sometimes six. So smaller pieces will cook faster. And depending how big you cut your potato wedges, they may need more or less time. So at the end, you can separate the chicken from the potatoes and cook just one of them a little longer if needed. I only had to do that once. 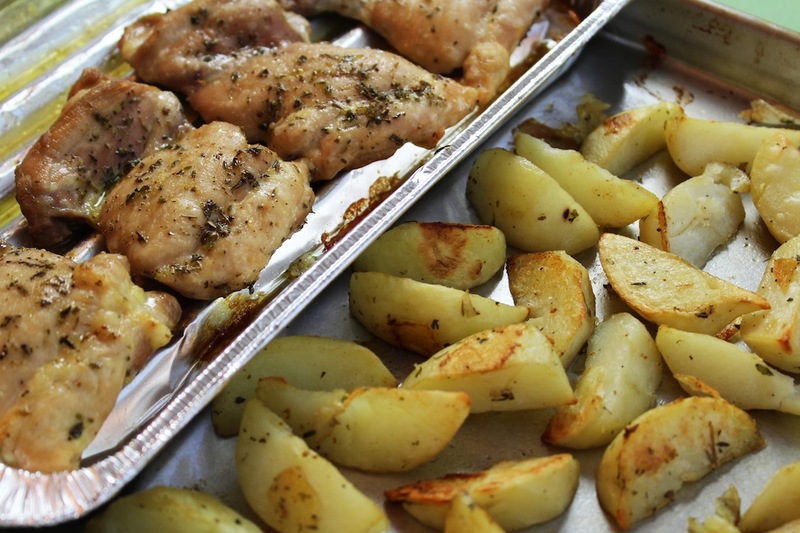 The broiler-type pan is important because chicken thighs have a lot of fat and all the fat cooks off and stays in the broiler pan, not touching the chicken, and not spreading onto the flat part of the pan where the potatoes cook and that keeps the potatoes crispy. 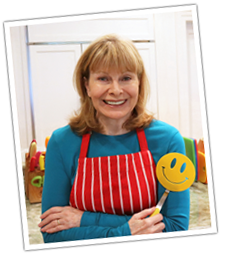 5 Comments on "Skinless Thighs & Fries"
Hi Jenny, I stopped looking for bread recipes when I found yours! Now I have fun with them by adding different flours etc. I wanted to know if I wanted to put in some 7 grain hot cereal in exchange for some of the wheat flour in the multi grain bread, what would I do? I know that usually the 7 grain hot cereal needs water to soften but do you have too soften it? Quaker Oats has put out a softer cereal that is 7 grain and cheaper than Bob Red Mill and not as hard. I am waiting to see what you say so I can make 7 grain – wheat bread! Thanks! We need more video’s-You need your own cooking show!I know we will all watch-God Bless You:)From Canada!